Well, the game certainly doesn’t need to you – it’s way past funding. Is there really that much danger in waiting until it is out to buy it? 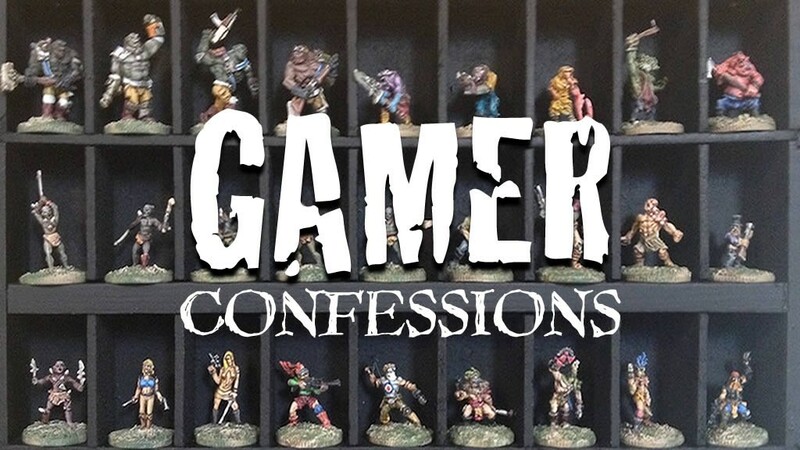 Sure you might lose a few extra figures, but isn’t that a small price to pay for avoiding the risk that is inherent with all of these miniatures kickstarters, so many of which have ended in tears? Also – think about the number of interesting new toys that are likely to come out between now and when the game actually exists. Wouldn’t you rather have the cash just encase something better comes along? Okay, I’ve tried. 1.) I’ve already bought in to Steam Forge before (Guildball) and as a KS and company pretty sure they are a safe bet. 2.) Have you seen the miniatures? Exclusives or not, they are really nice. The Guildball minis are great (but mostly unpainted still so you triggered a ‘guilt’ button there). 3.) Missing out on other minis – if they are good enough I’ll probably buy them anyway. 4.) Saving cash? Hmm. I’m fortunate that £80 won’t damage my hobby budget. 10 being ‘must have, take my money’ I think I was on an 8/8.5 to start with. 5 is totally on the fence. You’ve got me to 6/6.5. I agree with Joe, especially since they now are well beyond what they need, but I don’t quite get the nitty-gritty aspects of crowdfunding campaigns. Is there any advantage to getting the game via Kickstarter vs. buying it when it comes out? On the other hand, I’m not one to judge. I finally took the plunge on a Kickstarter campaign for some naval rules. Yes, part of me agrees with Joe too. As to the benefits of crowd-funding – generally there is a ‘perk’ to be had, be it a discount or limited/exclusive stuff. Also is the ‘assistance’ aspect in making something happen that couldn’t happen otherwise. Additionally there is the ‘community’ aspect which can be fun for some folk who enjoy conversing or supporting a KS and see it evolve. In this case opting in would clearly not be to ‘help make it happen’ nor am I bothered so much about the community aspect – at least not on big ones like this or CMON – the smaller ones – Sensible Heroines for example are good fun to follow. Mostly about the ‘perks’ on this one. Fate would have it that today their is a biggish game show near me I’m going along to. And SF have a stand. Good timing! It seems that all the modules will be available for retail purchase in the future. There’s no need to back the Kickstarter as you can buy the game and the expansion modules in the future anyways. Hi Barry. Thanks. And yes you are right. I hadn’t actually realised there were no ‘perks’ to this KS when I reviewed it. I talked to one of the Steam Forge fellas today at Carronade who was obviously delighted with the KSs success but also confirmed and told me as much himself when I told him of my dilemma. So it would seemed all my humming and hawing is totally pointless (bit think so many others things I needlessly fret about!). Looking down your list of minis you have commented on i cant see anything for the best 28mm fantasy minis in the world – Red Box Games, go buy some of those you can get them direct or from hassle free under Artemis Blacks – you wont regret it !!! Ha! You are very naughty. Preying on the weak etc. Not many. Picket up a couple at least from Hasslefree end of last year when they were having a sale. Shame on you though. Had you suggested something ‘shiny’ you would probably got me there. Hehe i thought i would be cheeky – ive almost got a complete set of his dwarves / dwarfs (?) with a grand total of 1 painted. Seriously i think you may like them as they are quite smallish for 28mm – true scale i think ppl call them. Yes, I’m digging dwarves at the moment too but have a host of Oathsworn ones to paint up. Should the ride continue I’ll certainly revisit Red Box on your recommendation. I should add that only yesterday (at a local wargames show) I did pick up even more dwarves – but they are pretty ‘large’ but still brilliant – they are the characters from the Time Bandit movie. If you loved that movie you’ll move the minis. From Northurmbrian Tim Soldier Company.